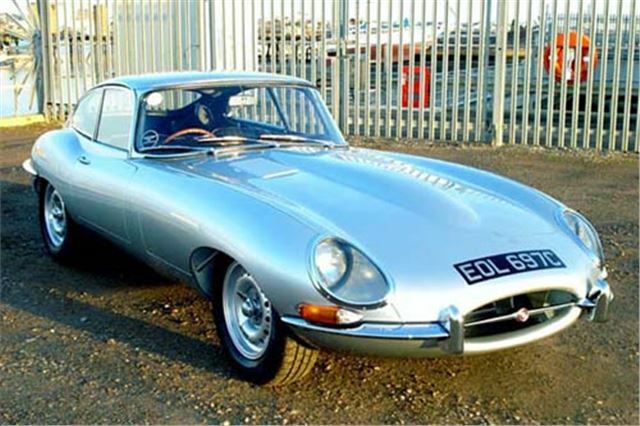 A lovely 1965 E-type 4.2 S1 FHC, fitted with knock on disc wheels, achieved just under £55,000 at Barons December Sale, closely followed by a 1999 Ferrari 550 Maranello, that nade £38,000. Another star of the sale was an ultra low-mileage Mercedes 107 300SL that climbed to over £22,00, while the much-publicised Wood and Picket 'music business' Mini Cooper S sold for £24,000 gross. Many since phoned trying to buy the car after the sale but the vendor accepted the bid on the day, so they have all been disappointed – proving that the only sure way to secure a car at auction is to be there and bid. Other notable sales were a Bentley Continental R Coupé, at £22,000, a 1966 Mustang at just over £20,000, a handsome 1966 T-Bird at £15,600 and a very nice Triumph Stag for just under £11,000. Full results below. Six of Barons’ seven sales at Sandown Park in 2013 will be held at weekends, with viewings on Saturdays and the sales on Sundays. Barons’ September sale will remain in its traditional Monday/Tuesday slot, in order not to clash with Beaulieu International Autojumble and Goodwood Revival. Details of the 2013 sales can be found on www.barons-auctions.com or by emailing info@barons-auctions.com .